I have been extremely busy with work lately. Somehow over the past few years, my bosses have decided to dump tons and tons of new appointments, responsibilities, projects and so on. The same phenomenon is happening to Mr Diva! While our peers were busy watching K-drama simi love from simi stars, we are literally seeing stars after doing so much OT. Being middle managers made our lives really....tiring, boring and BURN OUT! As a result, my blog is now somewhat neglected. However, this doesn't mean that I have stopped browsing websites for refreshing home interior designs or halted my daily dose of freshome. In fact, I have 101 things to do but have no the time to do them! The list includes a complete the overhaul of this website. Somehow I couldn't get the codes right and its not working properly. By the time 80% of the codes have worked, I am so sick and tried of the layout and design. I really want to refresh and remake my home interiors; really our apartment looks so very dated! I have also been entrusted with yet another renovation project. The list goes on and on. As a result of my very limited time, I started to turn to Home and Decor online instead of the magazines. Blog - A very addictive read! Updated almost every day. Q&A - Read answers or post home interior questions. Products - Its pinterest like interface features droolicious furniture. Home - portfolio of inspiring designs! The more I browse through the photos the more I feel I need to overhaul my place...ugh! It also allows homeowners to login and create their very own mood boards. Do hop over to the website and take a look! 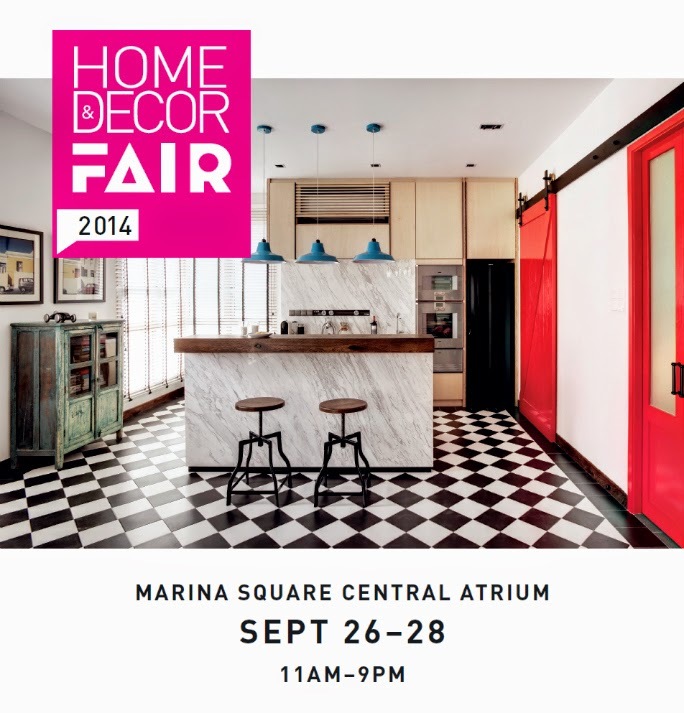 Whats more, there is a Home and Decor fair in September...do check it out too!